Many individuals with autism do not know how to pursue leisure interests on their own or have extremely limited areas of interest. Due to a generous grant received from The Jack Fanning Memorial Foundation, NSSA is able to offer more opportunities for enriching instruction than ever before, in areas such as music, yoga, bowling, cooking, painting, horseback riding and more. 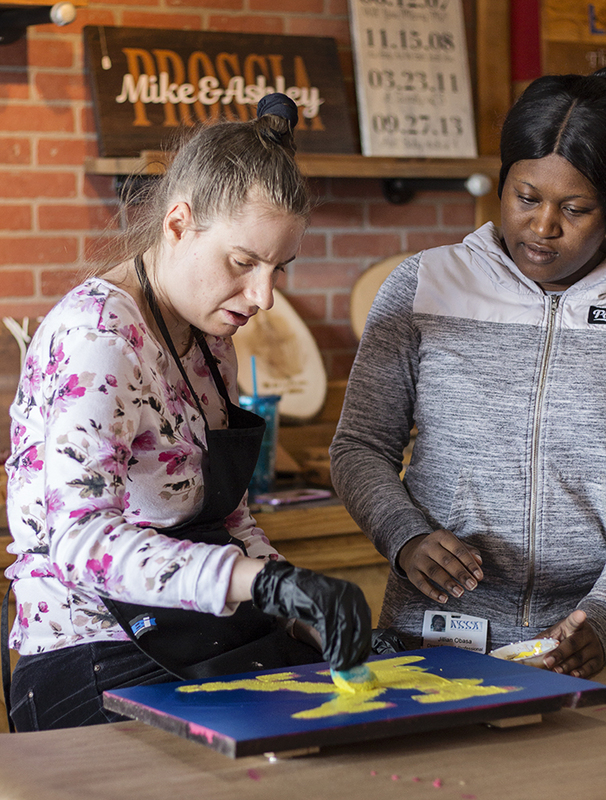 Activities such as these help broaden the interests and skill development for our clients and help them to lead fulfilling lives of dignity and purpose. 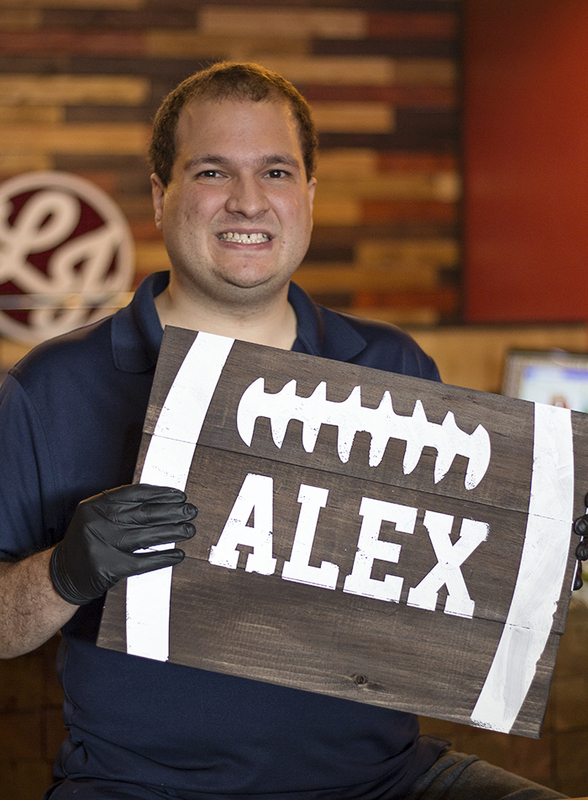 In recent weeks, adult clients have been expanding their experience horizons with cake decorating, decorative sign painting, and horseback riding, all of which were a big hit! 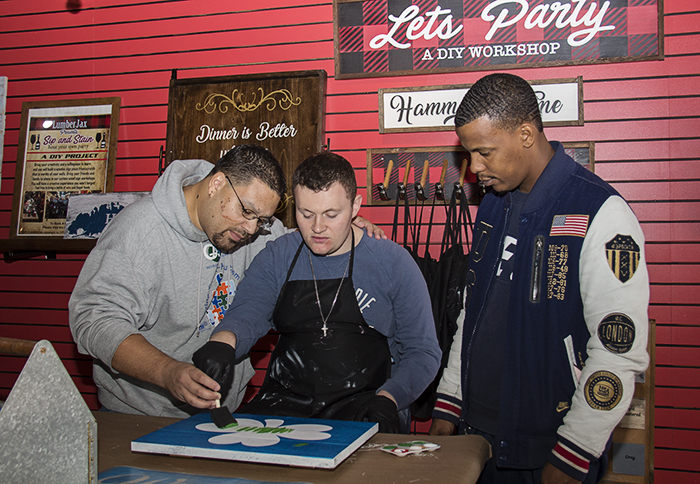 On October 24, a group of clients went to LumberJax in Commack to make decorative signs. 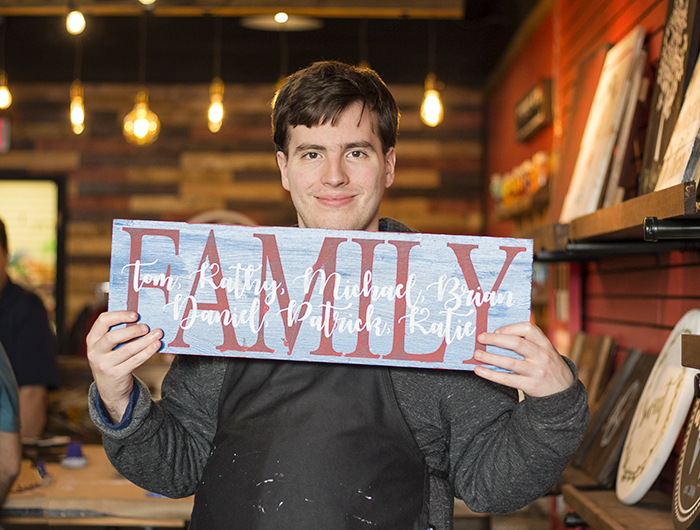 Family names and design choices were sent in ahead of the paint session and the LumberJax staff had stencils prepared for when the clients arrived. 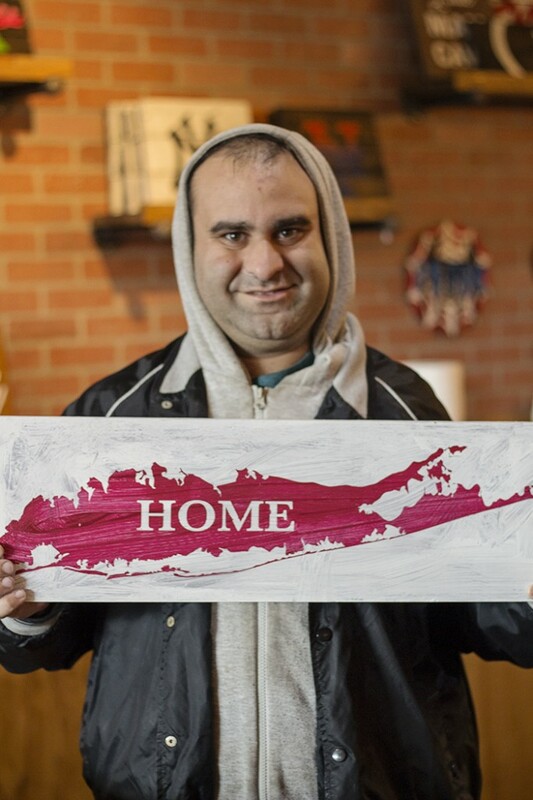 The use of layered stencils made it possible for clients to create unique and beautiful hand-painted signs for their home or family. 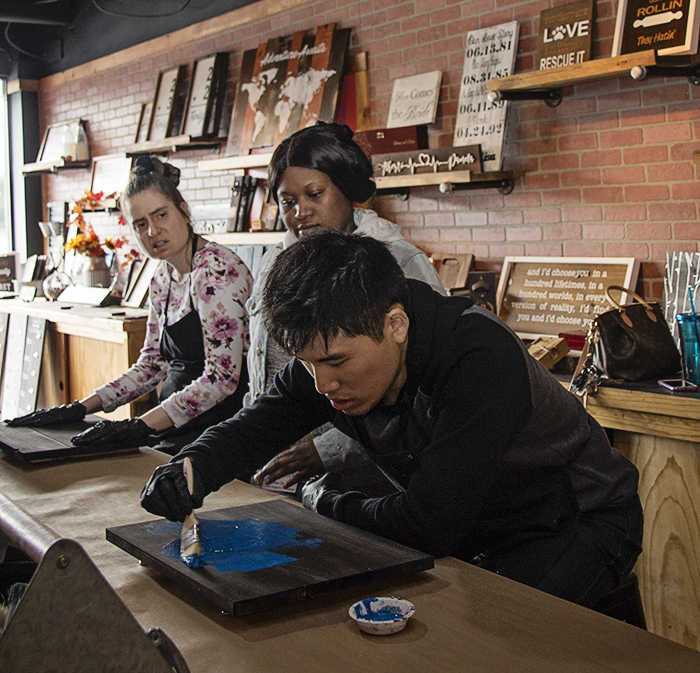 Decorative sign-painting was such a success, other groups from NSSA’s Adult Services have already returned to LumberJax for more creativity. What do you think of their artwork? Thanks to the instruction and help from LumberJax. I’m sure we’ll be back! NSSA is Crazy for John’s Crazy Socks!